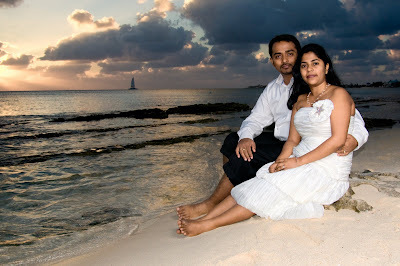 This fine young couple from St Matthew's University wanted a sunset ceremony on Seven Mile Beach, Grand Cayman. 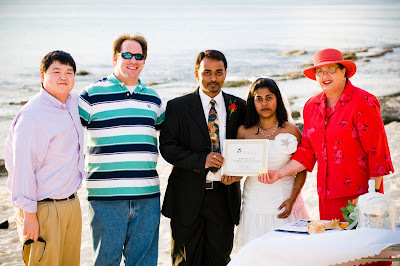 Since they are originally from India, I wrote them a special ceremony with vows and a blessing which echoed the Seven Blessings of a Hindu wedding ceremony. I knew this shot taken in the garden before the wedding would be stunning because of the contrast with the red bouganvilla and her white wedding dress. I brought a little piece of India to the celebration. 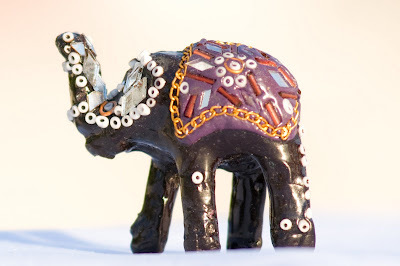 Elephants are said to bestow prosperity on the couple ( the trunk must always be raised) My sister-in-law brought me this little fellow from Mumbai. This couple didn't mind getting bare-foot either. Posing with Joy and their witnesses. I liked the idea of the sail boat in the distance for this tranquil scene at the end of the day. "May you be blessed with an abundance of resources and comforts, and be helpful to one another in all ways. 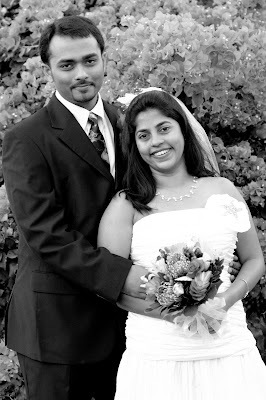 May you continue to build a strong relationship and to complement one another May you be blessed with prosperity and riches on all levels May you be eternally happy May you be blessed with a happy family life May you live in perfect harmony, true to your personal values and your joint promises May you always be the best of friends May you go your way together as husband and wife and continue to love one another for ever." 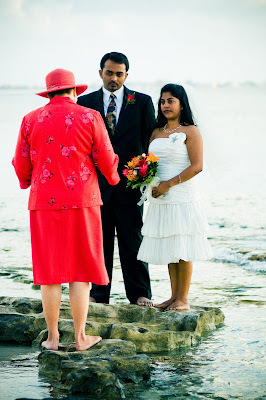 This ceremony by Joy for Simply Weddings, photography by Luis Vallecillo, flowers by Trisha's Roses. Thanks to Ollie Ebanks for use of Discovery Point Club, garden and beach area. 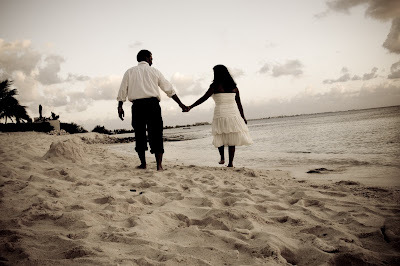 Under the Cayman Islands Marriage Law there are special requirements that residents who wish to be married must meet. 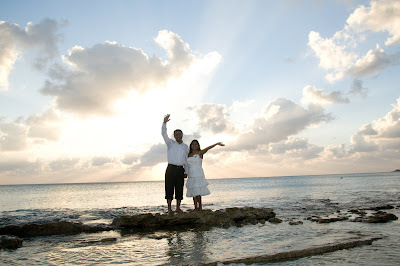 Call me for your copy of my information sheet on "Getting Married in the Cayman Islands for Residents". Call Joy at (345)5256551.